Skip to the forex live contest 2019 listing. What Are The Advantages Of The Forex Live Trading Contests? Things That You Need To Consider Before You Participate In The Forex Live Trading Contests. What Can Help You Win The Contest? Trading Plan And Trading Journal. Forex Live Contest Provides Social Benefits. Picking The Right Forex Brokers. Slow And Steady In A Contest. How Forex Penguin Can Help You. 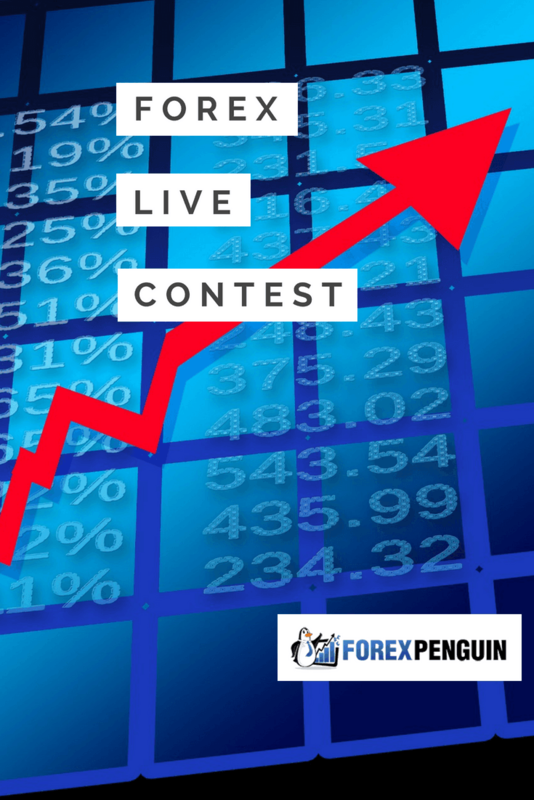 What is a forex live contest? It is a contest hosted by forex brokers in which real traders can participate. This is not for everyone because it involves real money. Before you join any forex live trading contest, you should probably join the forex demo contest first to get a taste of how a contest works. When you have enough experience in demo contests, then you can try your hand at forex live contests. It is a good way to win cool and amazing prizes. Most of the contests are held either daily, weekly or monthly. Just bear in mind that you are risking your investment because you are trading with real money in the live contest. We strongly suggest you get forex no deposit bonus if you are new to the real trading. Besides the daily ordinary trades, you also stand a chance to win prizes. This gives you more motivation to trade carefully. You can also compare your trading experience with the other traders out there. It can help you improve your personal confidence and stimulate your investment growth. This is a great opportunity for you to gauge yourself as a trader. Before you sign up for the contest, make sure you read all the terms and conditions very carefully. Ensure you can fulfill these terms and conditions. Before participating in the contest, be aware if there are any deposits that you need to make. Confirm that you have sufficient funds. You can be disqualified if your broker suspects that the information or documents you provided are false. Since forex live contest trades with real money, you should be aware of the risks involved. The primary goal here is not about winning the contest but to trade professionally. There are 3 aspects you can use in any live account trading. We call it the 3M: Money Management, Method, Mental. In live trading, the conservation of your capital is crucial. It is a bad idea to gamble away your hard-earned money. We usually use the risk-reward ratio of 1:2. It means in every trade, we have the probability to lose 100 Dollar or to win 200 Dollar. With this simple money management idea, we can increase our winning odds. It is said that with the right money management, we can excel in forex trading. By simply identifying the habit of how we risk our investment, we are ready for the forex live contest. The most significant difference between the novice traders and professional traders is the ability to handle their emotion. When it comes to live trading, there are two crucial psychological factors: greed and fear. A trader can get too greedy and refuse to close a winning trade. On the hand, the trader is too fearful to wait for a trade to be fruitful and close it prematurely. These emotional decisions often result in trading catastrophe. The right attitude is very important. You cannot always expect to win, you need to get yourself immune to losing and be calm about it. In order to be a trader who is successful in the market, you will have to face a lot of challenges. It might not come that easily to you. If you are disciplined and can wait for your win, then you can think of trading and make more advancements. With the popularity of the internet, forex trading is flooded with many different kinds of forex systems and methods. All these are overwhelming and can be very confusing. You should probably choose a system that is simple to understand. A good method is one that is simple and clean. Once you have mastered it, stick to it. One fatal mistake made by all newbie traders is that they jump from one system to another, like chasing the holy grail. In fact, there is no such thing. Make sure the strategy that you have in mind for trading should not be a very tough one. You need to be able to explain it to a kid who is around the age of 12 or so. The trading of price action fits perfectly well here. This strategy is considered the most stress-free trading strategy. This strategy can easily be explained. If you explain the simple dynamics of price in the market, you will not have to go into detail with the complicated terms like trading software, the complicated math or any kind of indicators. You need to make a trading plan from the trading strategy that is being mastered by you. Having your thoughts and an overall strategy for trading can help you more than you ever know. It prepares you to trade logically rather than emotionally. Make sure you maintain a trading journal in order to keep a track of your progress. Keeping a record of your work over time is important. Keeping a track record will help you to inculcate positive habits of trading which can be really useful later. Make sure the records that you maintain are accurate. If someone wants to fund your trading, it will be useful for you to show them your proper and well-maintained records. When you participate in forex live contests, you can socialize with people who are like you. In this way, you can prove yourself to be a great trader and also evaluate yourself. You can also show your broker that you are amongst the best players who deserve some kind of special treatment. If you are a trader, you should consider trying a live forex contest. Before you start the competition, it is essential for you to know if the prizes that have been promised will be given to you without any hassle. You may put your winnings at a risk if you choose a company that has a doubtful reputation out there in the market. Also, all the time that you invest in this company will be wasted. Thus, picking the right forex broker is a must. Almost half of the participants are already out within the first few starting hours of the competition. This happens because they want to lead from day one but they end up getting involved in trades which are really risky at times. So, make sure you start off your contest at a steady speed with some calculated risks in mind that could be involved in the trade. There are many forex brokers that offer forex live contests. At ForexPenguin.com we provide you with a daily updated list of such contests. Please choose your contest wisely. As a contributing member of the society, you can also add your comments if you find any listed contests which are not honest. We wish you success in forex trading! IronFx is hosting a live forex contest with cash prize $10,000. FxGiants is offering $10,000 Cash Money as the prize for the live trading competition. This ongoing monthly contest recognizes the Top Trader with an award of 1,000 USD.